Dubai: Residents of Palm Jumeirah will be the first in the UAE to benefit from an exclusive ‘last mail delivery service' that is set for a pre-launch on January 6, XPRESS can reveal. The new service, called Emir Mail, will initially target residential subscribers by taking mail from their PO boxes and delivering it to specially installed boxes on their premises, Babar Ishaq, President of Emir Mail, said. He said Emir Mail, which is owned by Shaikh Saeed Bin Dalmouk Al Maktoum and licensed by the Dubai Department of Economic Development, has teamed up with Emirates Post to begin its pilot project in Palm Jumeirah. "The service will soon be extended to other freehold developments," he said, adding that it also planned to cover other areas in Dubai as well as other emirates. Clients would be able register for the service by January 10, he said, adding that physical delivery would come about by mid-February or at the beginning of March. He said mail will initially be delivered three days a week - Sundays, Tuesdays and Thursdays - between 9am and 3pm. Ishaq said mail from contracted subscribers would be collected by Emir Mail's staff and brought to its sorting centre on Shaikh Zayed Road from where it will be desptached in special vans and eco-friendly electric scooters for doorstep delivery. He said a call centre, also in the same building, would handle subscribers' requests 24/7. 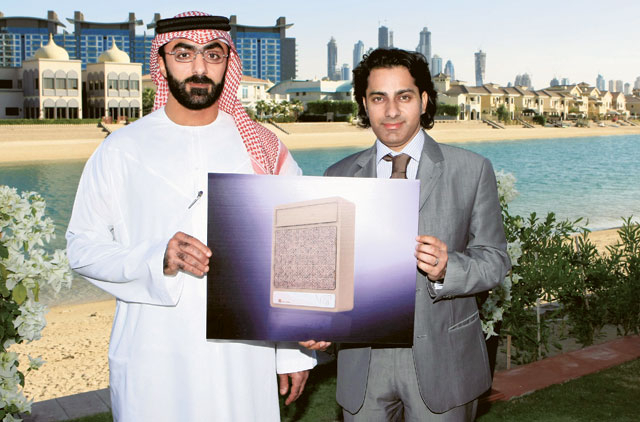 Emir Mail uses the smart track and trace mail box which is the latest technology for tracking mail, he said. He said subscriptions to the service would be flexible and affordable, but did not divulge any figures.